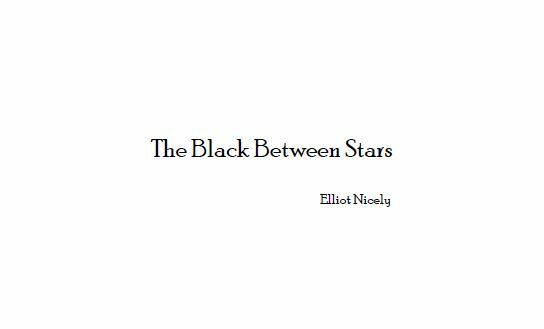 I’m beyond excited to announce the release of my latest chapbook The Black Between Stars through Crisis Chronicles Press. John and I saw this collaboration as an opportunity to create a book thats writing style and design would mark a major departure from the familiar conventions that our readerships have come to expect. We set out to develop a new work that is both startling and stark, a book which invokes a sense of disquiet and discomfort. Through John’s brilliant usage of binary colors and negative space, there is no question that the chapbook’s design, like the subject matter, has a timeless quality, and that his design deepens the poems’ resonance across the arc of the book. 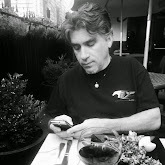 I hope you enjoy our most recent effort and thank you for supporting my haiku habit and Crisis Chronicles Press. The Black Between Stars is "a slight collection of nine haiku on the subject of loss; in particular, the loss of a partner. They are well-executed poems that together form a narrative that is made more powerful by their slim number." "The Black Between Stars builds a simple story from life and loss and attains a modest complexity that should not be undervalued or overlooked." 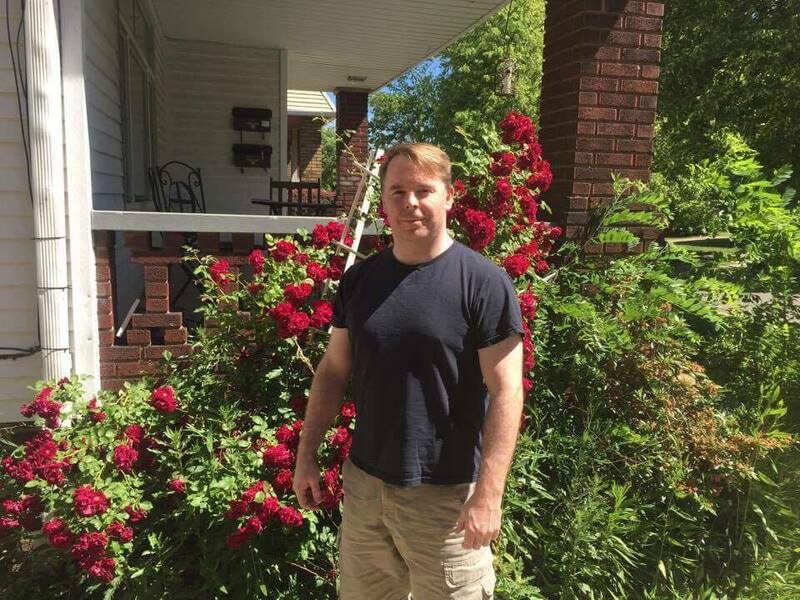 Elliot Nicely's work has received numerous accolades which include winning Lit Youngstown's Words Made Visible award and having been recently shortlisted for a Touchstone Award by the Haiku Foundation. 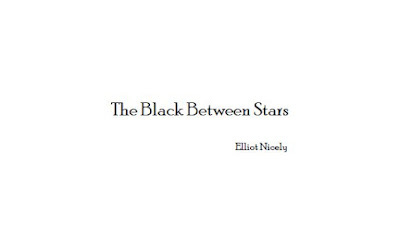 The Black Between Stars by Elliot Nicely is the latest release in our NineSense series of 9-poem chapbooks by writers you need to read. It is 12 pages, perfect bound, 7" x 4.25" and available for only $4.99 from Crisis Chronicles Press, 3431 George Avenue, Parma, Ohio 44134 USA. 1st edition of 125 copies. ISBN: 978-1-940996-40-0. Nominated for an Ohioana Book Award and a Pushcart Prize. Read Randy Brooks' review of The Black Between Stars in Frogpond. Read a review of The Black Between Stars in the inaugural issue of Scryptic. See ratings of The Black Between Stars at Goodreads. Elliot Nicely is poet and teacher from Hunts Corners, Ohio. 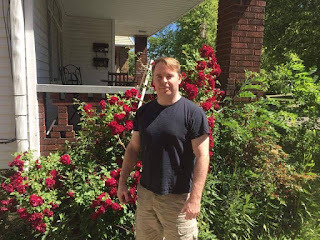 In recent years, he relocated to Lakewood, Ohio, and released his first chapbook, Tangled Shadows: Senryu and Haiku (Rosenberry Books, 2013). Over the last decade, his poetry also has appeared across four continents and in more than a dozen anthologies. Today, Elliot is still pursuing all of the answers to all of his questions with the hope that not all of them will be answered. 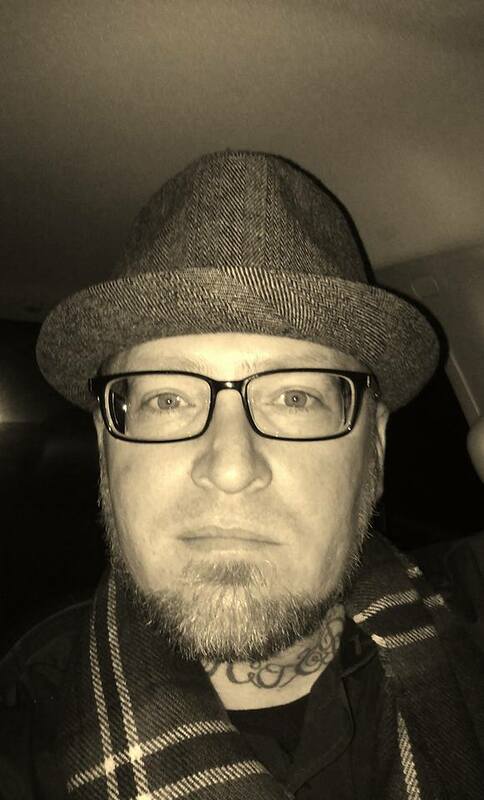 Crisis Chronicles Press is ecstatic to announce the long awaited publication of Sandpaper Lovin' by Victor Clevenger. This fine chapbook is now available for $6 from Crisis Chronicles Press, 3431 George Avenue, Parma, Ohio 44134 USA. "If you like your pleasure spiked with pain you'll wanna rub up against Victor Clevenger's Sandpaper Lovin'. Even if you don't, you'll still wanna. Say all the good things about him you like, but I wager he's got the most endearing scratch and bite of any sonofabitch writing today." Sandpaper Lovin' is hand assembled and saddle stapled. It features a white card stock cover, pastel green end papers and eggshell parchmentesque pages. Cover image by Steven B. Smith. 8.5 x 5.5". 16 pp. Laser printed. Poems include "the first words of the morning," "it came easy for us," "feeding my demons," "love letters" [nominated for a Pushcart Prize], "quill pen," "phallic & forgotten," "he'd even take one with warts like a toad," "a garden plot" and "november 10th." ISBN: 978-1-940996-42-4. Limited 1st edition of 100 copies. See ratings and reviews of Sandpaper Lovin' at Goodreads. Victor Clevenger’s most recent full-length poetry collection is titled Congenital Pipe Dreams (Spartan Press, 2017). Selected pieces of his work have appeared in a variety of places online and in print. He spends his days in a Madhouse and his nights with his second ex-wife. Together they raise six children in a small town northeast of Kansas City, Missouri. Meet the author on Friday 5 May 2017 at 8 pm during the Jawbone poetry festival at Last Exit Books and Coffeehouse in Kent, Ohio, and on Saturday 6 May 2017 at 7 pm during the Kansas City Pittsburgh Connection at White Whale Bookstore in Pittsburgh, Pennsylvania.